Welcome to The Paleo Foods Co.
Our products are based on simple, natural and nourishing ingredients which is why our deliciously nutty and crunchy range of Grain-Free Granola is made from a blend of super-nutritious nuts and seeds, and naturally sweetened with honey or coconut nectar. 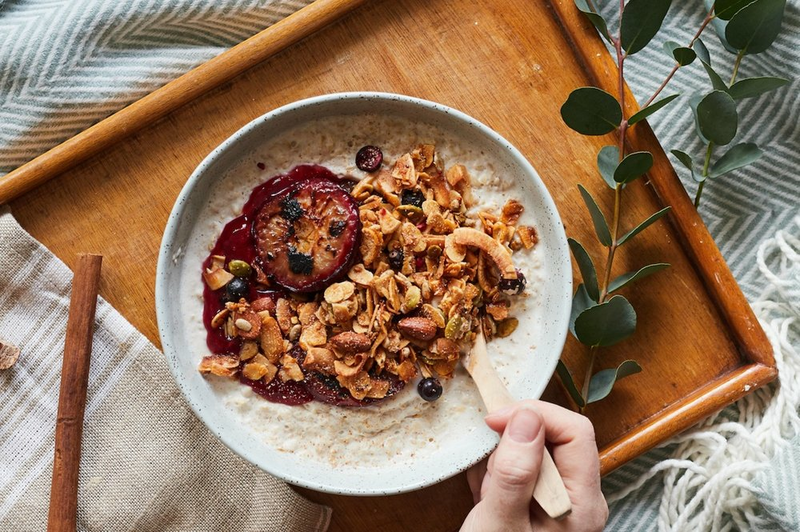 With 30% nuts and other superfood ingredients like Chia Seeds, our granola is high in natural protein, antioxidants, healthy fats and is also naturally lower in Carbohydrates. The perfect breakfast to fuel your day or a great energy boosting snack! And absolutely no artificial flavours, colours or preservatives. Just simple, honest ingredients with no compromise on taste! Sign up with your email address to receive our exclusive monthly newsletter!